It's Review It Wednesday and my review is going to be a short one today. I have a pile of work to complete and I'm heading out to Chuck E. Cheese this evening with my daughters and grandchildren. This is our annual tradition, in lieu of trick or treating, since we don't celebrate Halloween. I started doing this with my children back in the mid-to-late 70s and they still talk about it as being one of, if not their most, favorite tradition! They never felt as if they missed out on anything by not doing what the other kids were doing. When they were 7 and 9, we became part of a blended family. My husband and his daughters always participated in trick or treat, so we had a bit of a dilemma. A year or two after we married, I decided to give Bethany and Jessica a choice. They could either go trick or treating with their stepsister, Mindy, or they could go to CEC with me. After a day or so of deliberation, they decided to stick with our family tradition. My husband, in hind sight, now agrees with me about Halloween, and he would choose otherwise for his kids if he had the chance to do it over again. If you want to know more about why I feel this way, please read Taking Candy from Strangers, A Halloween Party Pooper, A Little Innocent Fun, Part One, and A Little Innocent Fun, Part Two. Actually, I'm just going to post a few more links to some past reviews I believe are worthy of revisiting. These are products I'm still using and loving even more than when I first reviewed them. I hope the reviews will help you make greener choices! Green Child Magazine -- this is a review of their first issue. Since then, they've incorporated a wonderful column with each issue... Ask Green Grandma!! So, if you have any questions you'd like to see answered in the column, please email me and I'll try to answer them for you in an upcoming edition of the magazine. A Warning about Fluoride -- Leaf 'n Bud Naturals sent me some Green Beaver toothpastes to try. What a perfect time to expound on the dangers of fluoride! GreenPan -- Another warning. This time it's about Teflon. But I offer a non-stick solution in this review. Well, that seems like enough for one day, don't you think? Trying to sort out which products are safe and which aren't can be a daunting task. That's why I wanted to share the CHE Toxicant and Disease Database with you. This is a searchable database that summarizes links between chemical contaminants and approximately 180 human diseases or conditions. You'll find diseases/conditions listed in alphabetical order. When you click on them, you see a list of potential causes based on Strong Evidence, Good Evidence and Limited Evidence. For example, click on Breast Cancer and under Strong Evidence, you'll see estrogens/DES, ethyl alcohol (ethanol), ionizing radiation, tobacco smoke (active smoking), and tobacco smoke (secondhand). Click on any of the toxicants, and it will take you to a list of other diseases/conditions associated with them. Again, these are ranked according to Strong Evidence, Good Evidence and Limited Evidence. You can also browse by disease catagory, disease, toxicant, CAS (Chemical Abstract Service) number, or keyword. This is an awesome resource every one of us should have bookmarked. Check it out and let me know what you think. 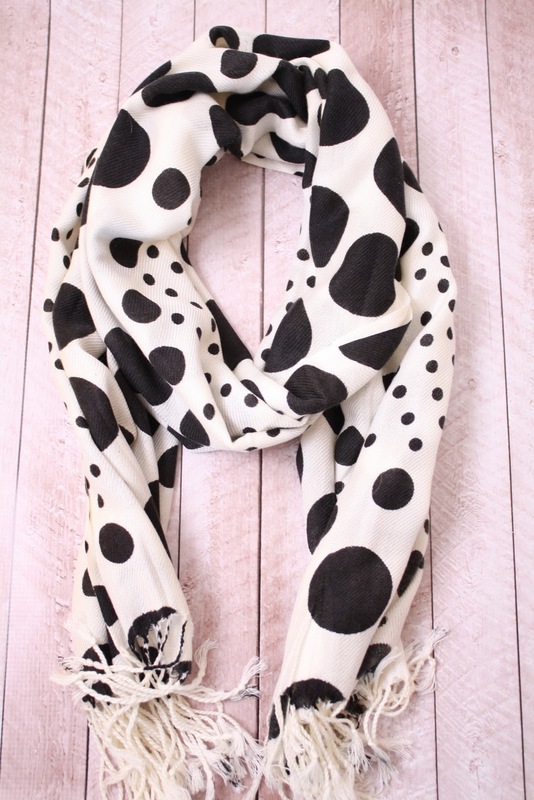 I'm all about scarves lately and I can't help admiring a woman who knows how to wear them. My pastor's wife, Erin, is one of those women. I have a few ways to wear them and rarely venture outside that comfort zone. How about you? 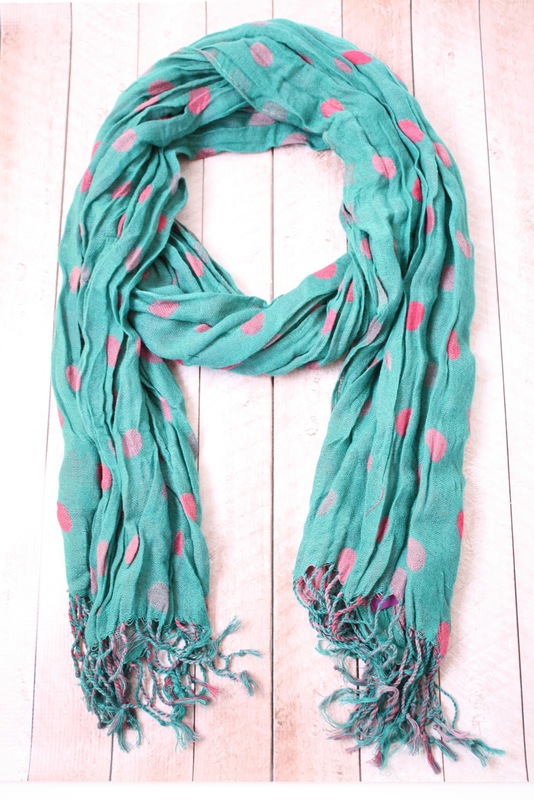 Do you love to spiff up your wardrobe with a splash of color from a scarf? 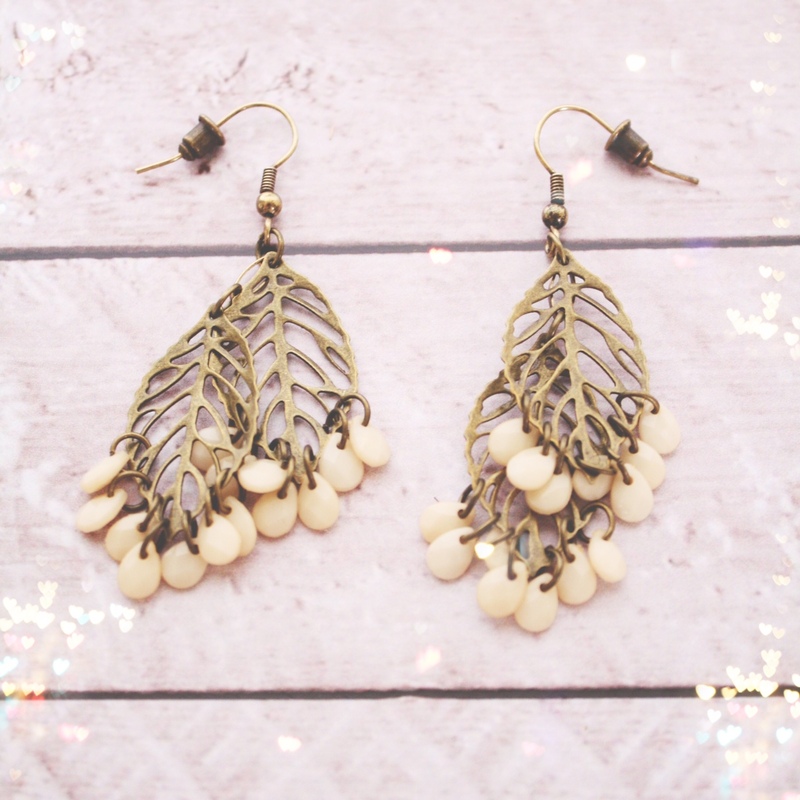 I also love jewelry... especially jewelry that seems to make a statement. I'm always looking for unique pieces. Whatever your style, I'm confident you'll find something you like from Style Lately.com. 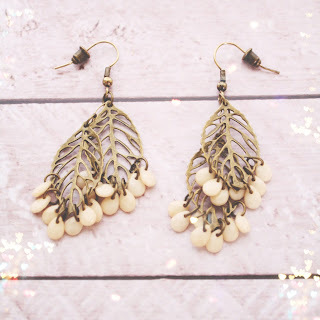 Style Lately.com brings you all the latest trends and hottest collection of fashion jewelry and accessories for 40-70% off! Sometimes, going green just means saving some green, which in these tough economic times, sure comes in handy! Since we're talking fashion, which isn't your usual Monday fare from Green Grandma, why not throw in a giveaway? With Christmas right around the corner, wouldn't a $50 gift card to a store specializing in fashion come in handy? We have 4 to give away to 4 lucky readers! I love this Evo Chain bracelet from Style Lately.com! Giveaway ends November 12th at 11:59pm. Okay, today's Vinegar Fridays started off well enough. I hopped in the shower for my usual no pooing routine, washing my hair with baking soda and rinsing with apple cider vinegar. Then I headed into the kitchen, where I took my morning dose of Bragg's ACV with a big glass of cold water. I ate breakfast, then ran the dishwasher with Norwex detergent, making sure there was still distilled white vinegar in the rinse cycle. Like I said, it started off well. The problem arose when I put my laundry into the washing machine, threw in a pouch of Eco Nuts, and then reached for the DWV. It was gone! I headed upstairs to the bathroom. It was gone! Kitchen. It was gone! There was no distilled white vinegar in the house! The bottles were empty. A touch of panic set in. Well, not really, but it sounds like something The Vinegar Lady should say. Have you ever had that happen? I'm not a member of Sam's Club or Costco, so I don't buy the large quantities of vinegar some of you do. I buy gallons when they're on sale at the grocery store. Apparently, there haven't been any sales lately, or I missed them. My laundry's on the line right now, having survived a cycle without vinegar. And I'll be sure to hit the grocery store in the next day or so. After all, what would happen if one of you stopped by and searched through my cupboards, only to discover I didn't have any DWV?! Scandalous! What you would find, however, is a whole slew of other kinds of vinegar. Champagne vinegar, balsamic vinegar, pear-infused balsamic vinegar, raspberry vinegar, red wine vinegar, white wine vinegar, etc., etc. Great for consuming, but not recommended for the rinse cycle! If you read Wednesday's or Thursday's posts, you'll get a glimpse of why I use vinegar instead of fabric softener, hair conditioner, Jet Dry, or medications for my acid reflux. It all comes down to prevention. I'm trying to protect myself and my family from the dangers of toxic chemicals. Will it work? Will it guarantee that I will never have cancer? Of course not. I've been exposed to toxins all of my life, and continue to be exposed. But I'm cutting down my chances, a bottle of vinegar at a time. 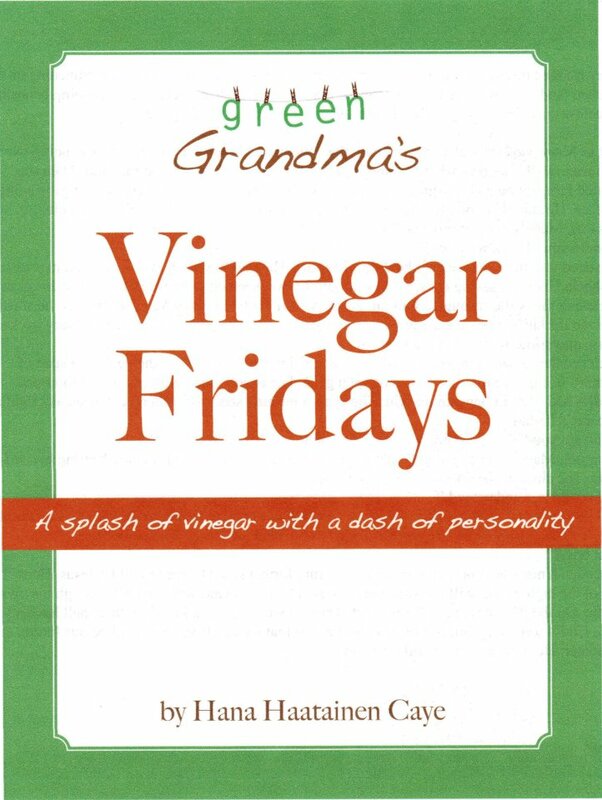 If you would like to learn more about the wonders of vinegar and the many uses for it, please buy a copy of my book, Vinegar Fridays, available online at Amazon.com and Lulu.com. Vinegar Fridays can also be purchased at Aaron's Books in Lititz, PA, The Book Place in Cranberry Twp., PA, The Shepherd's Door in Bellevue, PA and Happy Baby Company in Robinson Twp., PA. Also, I will be selling and signing books tomorrow from 1-6 at the Galleria in Mt. Lebanon, PA and at Barnes & Noble, South Hills Village in Upper St. Clair, PA, next Saturday. For those of you in the path of Frankenstorm, my prayers are with you. And if you get hit and have to clean up from any flooding, remember that distilled white vinegar is just as effective as bleach as non-toxic. If I were dressing up for Halloween, I think I might dress up like a pink ribbon. After all, what’s scarier than the toxins lurking underneath many of the pink ribbons in the Breast Cancer Awareness campaign? Seriously. 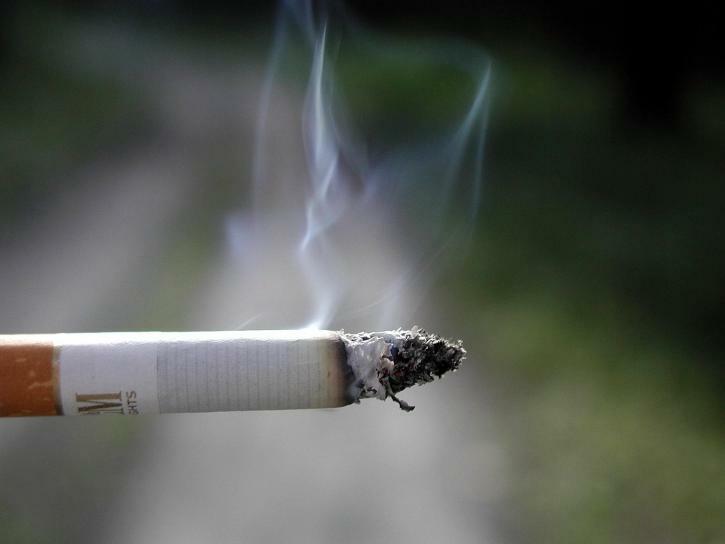 There are carcinogens in so many of the products boasting awareness ribbons. Like I said, what could be scarier? Now, don’t get me wrong. It’s not that I don’t believe in trying to find a cure. But these companies seem to be going about it backwards. They’re on a sort of hamster wheel. Cause cancer, cure cancer. Cause cancer, cure cancer. Round and round they go, and while they’re chasing their tails, 40,000 women in the United States alone are dying each year. Perhaps, had they spent some of that money changing their formulas for their products so they didn’t include carcinogens, we could see some significant drops in those tragic statistics. And the statement "The best protection is early detection" slogan makes me want to puke. No, folks, the best protection is prevention. Period. I purposely won’t buy any products, if I can help it, that are part of the Pink Ribbon Campaign. But that doesn’t mean I don’t care. My own sister had breast cancer a few years ago. My husband’s first wife is battling the disease right now. And my daughter’s mother-in-law lost her battle to cancer just a few short months ago, right after her 51st birthday. Fortunately, there is an organization that has the same philosophy as I have. They view October as Breast Cancer Prevention Month. Notice the difference… Prevention, not Awareness. Awareness is bizarre, when you think about it. Who isn’t already aware? We don’t need to spend money raising awareness. We need to learn about Prevention. Please visit the Breast Cancer Fund website and Facebook page and learn why they believe “prevention is power.” Move beyond the pink ribbons! The government is not going to protect you. The corporations are not going to protect you. The pharmaceutical companies are not going to protect you. The only person who has the power to protect you is YOU!!! It's Review it Wednesday and if you only read one review I've written so far or in the future, this is the review I want you to read. Last evening, my husband and I attended a screening of Unacceptable Levels, a documentary by Ed Brown. Hosted by Women for a Healthy Environment and Learning Disabilities Association of America, this was the third screening of the film, and I was honored to be part of an unfortunately small group of concerned... what? Americans. Parents. Grandparents. Republicans. Democrats. Independents. People of faith. People without faith. Black. White. Indian. This was a group of people who may have had nothing in common, yet we had everything in common. We care about the current situation of our toxic planet, and we want to do something about it. Ed Brown does, too. That is why he created this film. Born with a cataract in his right eye, deeming him legally blind, Ed also suffers from asthma. His beautiful wife, Lauren, developed Crohn's disease as a teenager, and as an adult, lost two babies to miscarriage. The Browns have two seemingly-healthy-at-this-point adorable blond-haired children, who are featured often in the film. Perhaps that seems a bit indulgent of the filmmaker, to feature his kiddos throughout this documentary. But their presence continually drives home the point... There are dangers all around us, and we have to do whatever we can to protect the children and future generations. Period. This is just another piece of propaganda, you may be thinking. Brown's just an Al Gore wannabe. Let me take exception to that thought process right off the bat. Those of us who are preaching the unsafe chemicals, toxins all around us, message, have nothing to gain. On the other hand, huge corporations being called out for their irresponsible use of carcinogens and endocrine-disrupting toxins have lots to lose. And money talks. We can all agree on that. But these chemicals wouldn't be in our products if they weren't safe, right? Wrong. "Safe" is a politically defined term that guarantees absolutely nothing. And companies are quite adept at "green-washing," offering products labeled with terms like "green," "organic," "natural," "healthy," etc. From Monsanto to DuPont to L'Oreal, the issue of non-disclosure is monumentally in their favor. While cosmetics and personal care products must include ingredients, there is one word, in particular, that is especially troubling: "fragrance." What exactly does that mean? Fragrance is a very small word covering a HUGE list of potential toxins. But the government wouldn't allow that, would they? As I said, money talks. These are just some of the things covered in this enlightening documentary. The film is sobering, with some punched-in-the-gut moments woven into some lighthearted moments. I found myself crying at times and furious at times. And then there would be those adorable Brown children with their curly hair and wide eyes and I was smiling once again. I enjoyed seeing the clips of old commercials and film footage adeptly woven into the film, yet I often cringed at the lies we were sold. But it wasn't just Ed Brown's opinions and quest for a solution that drove the documentary. It was also the myriad of experts who offered their wisdom throughout. Experts like Ralph Nader, Ken Cook (EWG), Stacy Malkan (Campaign for Safe Cosmetics), and many more. Randy Hayes, Founder of Rainforest Action Network and Executive Director of Foundation Earth says this about the film: "This movie makes it impossible to hide behind the numbers. It not only changes the way that you look at the world, but the way that we look at ourselves." This is a documentary about what goes in our bodies and what we can do about it. Is it about social activism? It can be. Is it about the need for change in government regulations? Of course. Is it a plea for corporations to take responsibility and stop poisoning us? Yes. But mostly, it is a call to action for each of us to educate ourselves and take action to protect ourselves as much as possible. Brown and his guest experts throw a lot of numbers and statistics around. Sobering numbers. If you care about your own health and the health of your children and your children's children, this is a documentary you have to see. And its one your neighbors have to see. And your fellow church members. And your mom's group. And... Well, it's a documentary for everyone. Especially the politicians and CEOs. But it won't be seen unless the money for distribution is raised. This is where you come in. 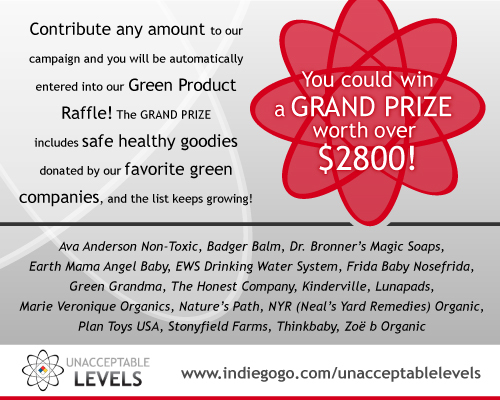 So, everyone who donates $1 or more to the Indiegogo Campaign between now and November 6th will be entered into a drawing to win an amazing safe and healthy prize package valued at over $2800!! The contest is open to residents of the U.S. only and the winner will be announced on November 7th. Click here for a list of sponsors and prizes. Worried about your kids developing allergies or asthma? Maybe it's time to visit your local pet shelter! My sleep last night was delightful. Why? Because neither Vincent or Theo Van Gogh joined my husband and me in bed. The Van Gogh brothers are cats, by the way, and they love to curl up in the nook of knee or across my feet or somewhere adjacent to my body. While this may pleasant when I'm cold, it loses its appeal whenever I attempt to change positions. Theo will occasionally grab on with his claws in a desperate attempt to maintain his place on the bed. Not cool. I was never a fan of letting the cats sleep on the bed. I just don't like it. Through the years, we kept the bedroom door shut and our menagerie of pets slept elsewhere. Then, about 7 years ago, our cat, Mow (Meow without the 'e') started losing weight. He was sick and often his body felt quite cold. So we invited him to share our bed. After Mow died, Vincent came to live with us. Vincent is a very vocal Ragdoll, and he wanted no part of being shut out of our room. So, in order to stop the incessant meowing, we started letting him up on the bed. Later, Theo joined the family, and the co-sleeping arrangement. Thus, the issue of my not being about to move during the night. Oddly enough, I am not allergic to Vincent (the Ragdoll) or Theo (the Siberian Forest cat), as both breeds tend to be hypoallergenic. Unfortunately, as I've grown older, my allergies to other cats have increased dramatically. We've had to part with a couple of our pets because of this. My kids, on the other hand, do not have allergies to cats... or dogs. While they've inherited many of my other maladies, why is it they are free from pet allergies? Scientific research just might have the answer. Apparently, according to many studies, children under 9, who are raised with cats and dogs, tend to grow up allergy-free. At least where pet dander is concerned. 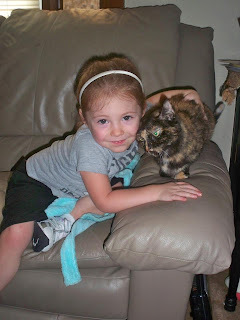 My kids grew up with such an assortment of pets, they're probably immune to all animal-related allergies. Through the years, we had 18 cats, 4 dogs, a horse, numerous rodents, a ferret, a snake, a gecko, 3 rabbits and a variety of birds. Welcome to the Caye Zoo! Now that it's just my husband and me living here, we've whittled down our menagerie to include only the 2 cats. My allergies appreciate that. As does the bank account. Pets are expensive! Especially when you use eco-friendly and pet-safe litters and premium foods. But the point of this post isn't to talk about the craziness of living with lots of pets; it's about the lack of allergies the girls have because they grew up in the Caye Zoo. 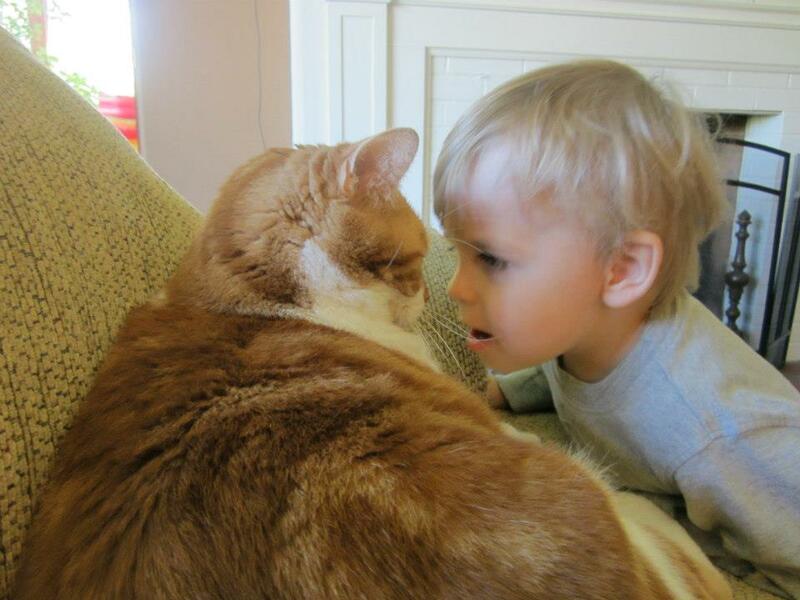 In the latest study, allergist Thomas Platts-Mills, MD, PhD, of the University of Virginia, and Swedish researchers find that the longer children had pets when they are young -- ideally during their first two years -- the lower their frequency of having pet allergies is years later. It follows a study last year that found babies raised in a home with two or more dogs or cats were up to 77% less likely to develop various types of allergies at age 6 than kids raised without pets. Besides pet allergies, those children were less likely to develop reactions to dust mites, ragweed, and grass. According to the Journal of the American Medical Association, kids raised with dogs and cats are "almost half as likely to have hyper-responsive and easily irritated airways -- a risk factor for asthma." But before you run out to find the perfect pup or kitty to welcome into your family, make sure you do your research. The last thing you want to do is offer any kind of support to the puppy mills. Check out your local shelters. Your kids will thank you for it! 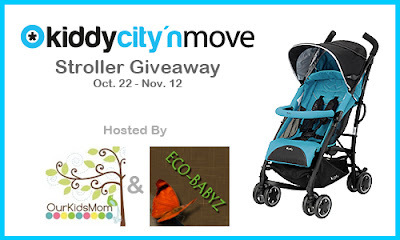 Kiddy City 'n Move Giveaway! 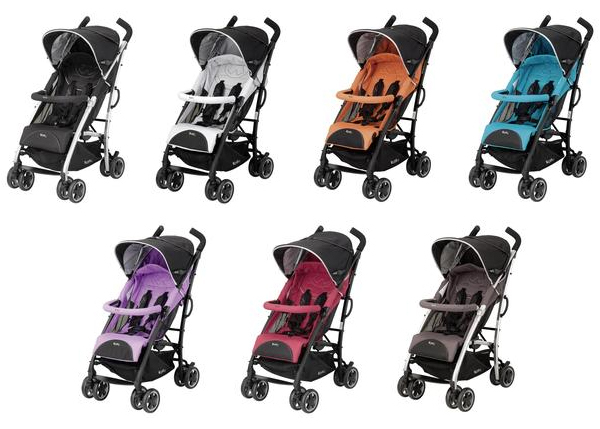 A high quality, sturdy, and stylish stroller can be hard to come by. Today you don't have to look very far since we're giving one away! The German engineered Kiddy City 'N Move is everything a parent dreams of and now it is available to us in the U.S. The Kiddy City 'N Move is a full-feature stroller - not really an 'umbrella' stroller like you're used to. We are in love with the huge canopy that will shield your baby from sun-up to sun-down. An easy one-hand recline is great for infants and napping toddlers. The storage pocket and undercarriage basket have enough room for all the necessities and a little more. The umbrella fold is easy once you get the hang of it and it's compact. The harness, bumper bar, and adjustable footrest make the seat a very comfy place for baby. You can read the full review of the Kiddy City 'n Move Stroller over at Eco-Babyz and see a myriad of detailed photos as well as a 3 year old and 1 year old using it! Purchase: The Kiddy City 'n Move retails for $219.99, but it is so new that it isn't even available to buy just yet! You will find it here on Amazon in the next couple of weeks. You may also check out the list of retailers (which will be updated soon) to see who carries one. Win One! Kiddy is blessing one of you with the Kiddy City 'n Move stroller in your choice of color: Phantom, Stone, Jaffa, Hawaii, Lavender, Cranberry, or Walnut (subject to availability). 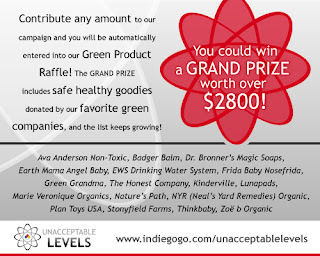 Special thanks to Eco-Babyz and Our Kids Mom for hosting this giveaway. Huge thanks to the 76 participating bloggers as well! Giveaway ends November 13th at 12:01 am, open to US residents, ages 18+. To enter please use the Rafflecopter form below. Thank you! Disclaimer: I received no compensation for this publication. Eco-Babyz, Our Kids Mom, and Kiddy City 'n Move Stroller Giveaway Event bloggers are not responsible for sponsor prize shipment. Election year... how should we respond? The vinegar lady wins a basket of vinegar! 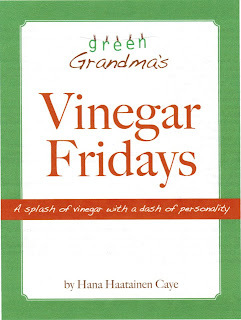 Wow, Vinegar Fridays come up quickly these days! I mean, seriously! Where does the time go? Last weekend was rather special. On Saturday afternoon, my husband and I attended our friend, Colonel Daryl Hartman's, retirement ceremony at the 911 Air Force Base here in Pittsburgh. It was an impressive and moving ceremony. Colonel Hartman had an amazing and distinguished career. He spoke about his devotion to his country, his family and to his God. We felt honored to be included. We left the Air Force Base and headed back to North Hills to attend a fundraising benefit for Denise's People. Denise was the sister of another friend of ours, and we were privileged to get to know her through her battle with brain cancer. A battle she eventually lost, but not without a valiant fight. Following her death nearly 3 years ago, her mother started Denise's People, a non-profit organization with the tagline, "Joining forces to cure brain tumors." Denise's mom is determined to do just that. So she hosts fundraisers, like the one we attended on Saturday night -- The Grey Ribbon Affair. So... what does all of this have to do with vinegar?! Good question. And I have a pretty nifty answer for you. You see, there was a Chinese auction benefiting the cause. We purchased 3 tickets for $10. There was a certain basket I really wanted to win. And guess what? I won it. It was a basket full of related items, including organic olive oils, spices, a bottle of wine and... 3 bottles of balsamic vinegars! The vinegar lady won the vinegar basket! How cool is that?! So this week, we've been playing with D'Avolio vinegars and oils. I love the 18 year old balsamic in particular. And the oils are wonderful mixed with the spices and poured into the little bread dipping plates (also part of the prize). Problem is, I've been eating much too much bread this week. It's just hard to resist. Anyway, I just wanted to share this lovely news with you. While we were helping a cause, we were rewarded with a basket valued at well over $150! You know how much I love giving away stuff here on the blog. But I admit, I love winning stuff as well. Enjoy your Vinegar Friday. I know I'm going to enjoy mine!